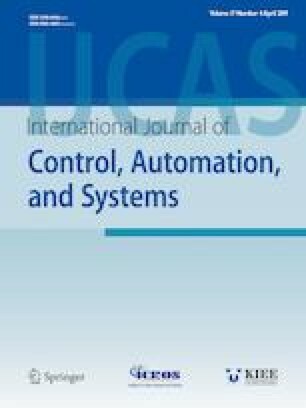 This paper is concerned with the problem of finite-time H∞ control for stochastic singular systems with partly known transition rates (TRs). The transition of system parameters follows a finite-state Markov process. Firstly, based on stochastic functional method and linear matrix inequalities (LMIs) technique, sufficient conditions are proposed to ensure finite-time stochastic boundedness (FTSB) and finite-time H∞ stochastic boundedness (FTH∞SB) of considered stochastic singular system. Secondly, by designing a state feedback controller, strict LMI conditions are obtained to guarantee the closed-loop system with partly known TRs to be FTSB and FTH∞SB. Finally, a numerical example is provided to demonstrate the effectiveness of the proposed methods. Finite-time stochastic stability H∞ control singular systems stochastic systems. Recommended by Editor Jessie (Ju H.) Park. This work was supported in part by grants from NSFC under Grant no. 61803279, 71471091, 11871366, 51874205, 61672371, Jiangsu Provincial Department of Housing and Urban-Rural Development under grants no. 2017ZD253, the grant from Suzhou University of Science and Technology under grants no. XKZ2017011, the grant from Ministry of housing and urban and rural construction under grants no. 2018-K1-007, Foundation of Key Laboratory in Science and Technology Development Project of Suzhou under grants no. SZS201813 and no. SZS201609, and China Scholarship Council. Lijian Yang received his bachelor degree in Suzhou University of Science and Technology in 2018. Now he is an M.E. candidate in SUST. His research interests include sliding mode control and optimization. Baoping Jiang received his M.S. degree in operational research and cybernetics from Ocean University of China in 2015. Now, he is a Ph.D. candidate in Ocean University of China. His research interests include singular systems, stability theory and so on. Yonggui Kaoreceived his M.E. and Ph.D. degrees from Ocean University of China in 2005 and 2008, respectively. He is now an Associate Professor at Department of Mathematics, Harbin Institute of Technology (Weihai). His research interest covers stochastic systems and sliding mode control.